I was doing some maintenance on a Chronarch and Metanium MGL and a Conquest 100. It appears the bearings are different on the conquest than the other 2. Is one supposed to be better than the other? 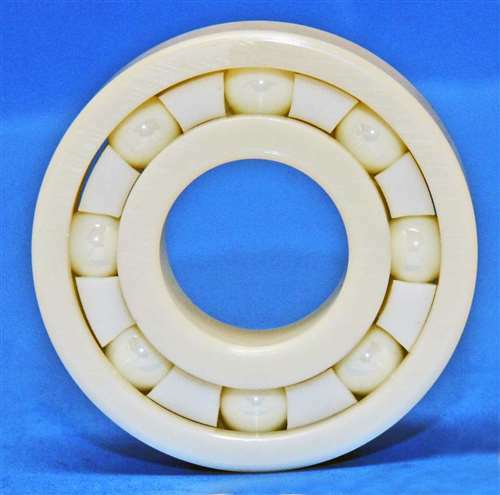 What is the difference you see between the bearings visually? Is one supposed to be better than the other? The bearings aren't different really, just coated if anything. ABEC rating determines better or not. The dark corrosion coating is just a sales promotion thing because the coating can only work where it is not worn off. But where it counts is inside the sealed bearing where you can't see it worn off races and balls from use. Those places will rust and still need a slight oiling. The racers seem to be a different color or material. The shields you mean? They are like a blackened color? Yes the shields. They are blackened on the Chronarch and Metanium but stainless on the conquest. Truth be told I was replacing all of them with ceramic bearings. Afterwards noticed an improvement on the Chronarchs and Metanium but the opposite on the conquest. The Calcutta seemed to suffer a little. Hence I’m wondering if it didn’t have some kind of more premium bearings in it. The blackened ones are the bearings that come in most Shimano JDM reels. They are very good bearings. So aside from maybe a coating it should be the same type bearings? And since you seem to be in the know. What is the absolute best bearings money can buy for a Shimano reel? I'm just a lowly reel tech at a shop is all. LMG is on top of the bearings too. But I get to hear things most don't when it comes to what is what going back and forth between our shop and corporate headquarters for the brands we cover. I follow the bearing issue... or have. Everytime we place an order for bearings it is usually around $1k. So we buy a lot of bearings, which leads to the industry secrets I alluded to earlier. You have to realize the metal these bearings are made from is consistent across the board. Does not matter which reel you pick up. All the same aisi 440c stainless steel. Races and balls, and even some seals. The differences that really matter are the ABEC rating or how smooth and perfectly round the balls are inside the bearing. The higher the rating, the more accurate the bearing and tighter the tolerances it will be, and smoother. The lower ratings are rougher, not as tight of tolerance type of thing, but will work. The races material of fishing reel bearings is aisi440c stainless steel, the choice of ball has stainless steel ball or silicon nitirde ceramic ball. All fishing ceramic bearing have very good rust resistance performance, and also have very fast rotation speed. Currently, the fishing bearings we can provide include abec-5, abec-7, abec-9 and abec-11. Most of customers like metal shields on both sides, but we can provide rubber seals and teflon seals according to customers’ requirements." And there are the differences... Color of rubber seals or teflon seals, and ABEC rating, and or corrosion coatings which to me is just a gimmick in Florida. ABEC 5 and 7 work fine in reels, but you can always get better as seen above with the ABEC 9 and 11 ratings- and below with the full ceramic, or a hybrid is fine too. I use ceramic hybrids and full ceramic bearings in my reels. Full ceramics are as good as it gets, but some people do not like the sound they make when casting, but I like it. I can judge my cast based on that sound. Silent reels don't give me that extra data to process. I just ordered 16 of these direct from China for a little under $200. I’ve never heard of lily bearings. I might have to check those out. They seem to have options. I just received my order of full ceramic bearings! WooooHoooo! Now my reels will scream again! Are the ones you ordered shielded? I found them on eBay and it doesn’t say. No shields on full ceramic. Hybrids yes, but I remove them as you can see in the tray on right. I almost never put spool bearings in my personal reels with shields. Not rubber shields anyway. Stainless bearings with shields are fine, but rubber usually touches somewhere and slows bearing down some. Not much, but a little touch, here or there is too much for me. The shields don't really do anything for me anyway. My reels can go a year or more without cleaning or nothing and keep casting like a rocket. I don't get them dirty or soiled when using them so it is not really an issue for me. Get full ceramics and do not lubricate them.